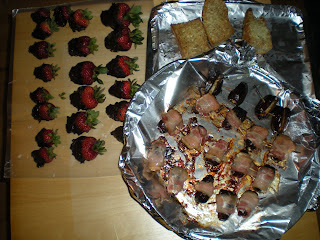 This is the last appetizer I have done for the night. Any girls would die for this dessert. It is very attractive and easy to make. This is the simplest version, you can't get even simpler than this. It only required 2 ingredients. You can figure out the procedure, I'm gonna write it anyway. 2. 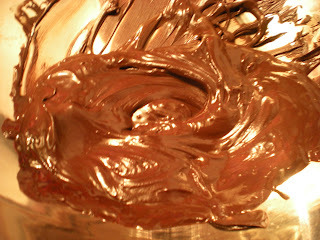 Chop chocolate with serrated knife then place it in a small heatproof bowl over simmering water. Stir until smooth. Add margarine if it is not smooth. 3. 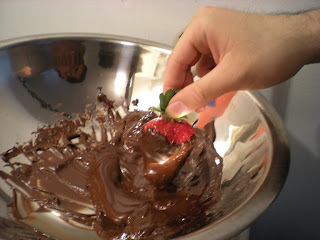 Dip strawberries in chocolate and twist chocolate out. Place it on wax paper. 4. Cool for an hour or refrigerate for 30 mins. 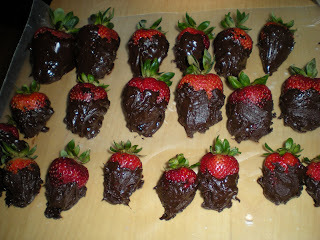 I love chocolate covered strawberries!